MACLYN seeks energetic, responsible individuals to join our Dunkin’ Donuts Sampling Van Crew for part-time employment. The Dunkin’ Donuts Sampling Van travels throughout the Chicagoland area to a variety of events distributing free samples of Dunkin’ Donuts coffee and latest promotions. Events and locations include Chicago Cubs and Sox games, Chicago Bears games, Brookfield Zoo, Toyota Park, B96 Summer Bash, Charity events, Chicago Marathon and so much more! MUST be available during the week and weekend! 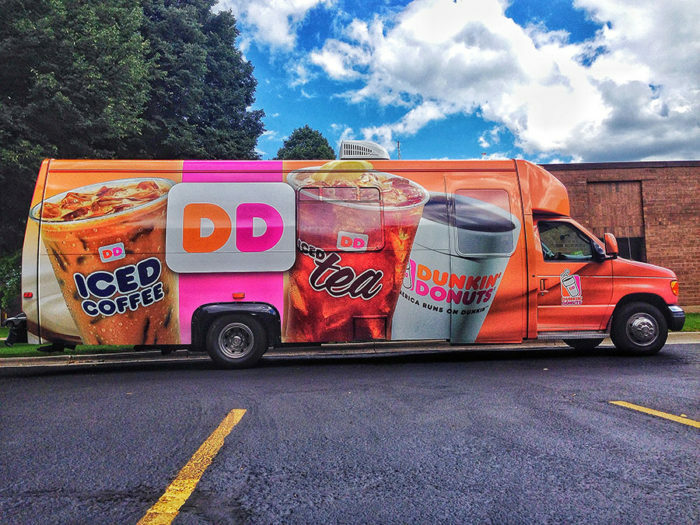 The Dunkin’ Donuts Sampling Van travels to 90+ events between April and October. Average Brand Ambassador works about 20 – 30 hours per week and starting pay is $12 per hour! Bilingual in Spanish is a huge plus! Excellent paid opportunity for job experience at an advertising agency!